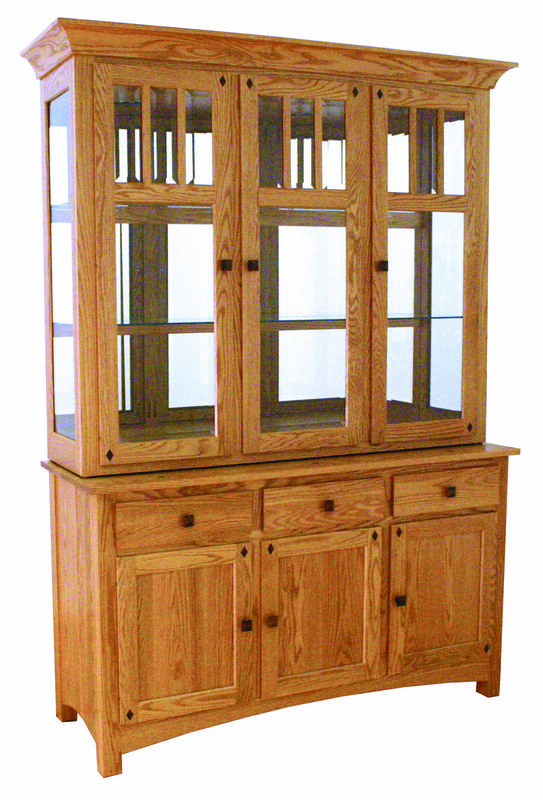 61″ Diamond Hutch shown in Oak..
Standard Features: Beveled glass, glass shelves, can lights, touch switch, plain wood back. Options: Available in 71″ width. Buffet only. Available Woods: Brown Maple, Oak, Cherry, Quarter Sawn White Oak.